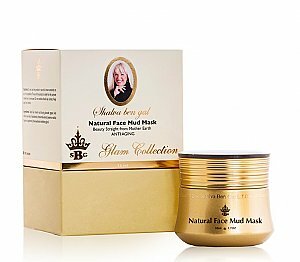 The Natural and high quality mud mask contains natural minerals which assist in fighting skin damages and, aging and helps reduce wrinkles. Apply an even layer of the mask to the facial skin, wait approximately 5 minutes, rinse thoroughly with lukewarm water and apply moisturizing cream for complete nourishment. Do not use the product in case of a known sensitivity to any of its ingredients. The use of the product is solely for the purpose intended and as instructed. Do not swallow. Avoid eye contact. Keep away from children.